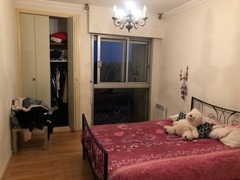 Proximity business school, Apartment 35m2 in perfect condition, equipped kitchenette, living room, 2 shower rooms, 2 wc, balcony, double glazing, bike storage. Furnished studio (plates, refrigerator), stay, double. Entrance, closed kitchen, living room, bedroom, bathroom, wc, garage, collective parking with remote controlled gate. Studio in perfect condition, living room, double glazing.